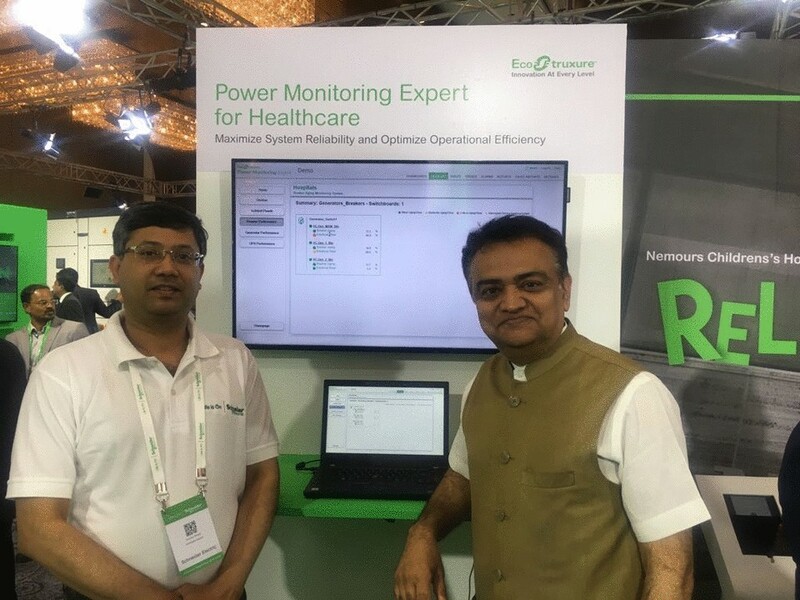 Dr. Mody was invited by Schneider Electric Automation Company as an expert panelist at Innovation Summit 2018. Schneider Electric Automation Company is a colossal electrical multinational company offering electrical services and products to the world. Electrical issues impact every aspect of human life. Modern healthcare delivery is intricately linked to the quality of electrical infrastructure of a hospital. The safety and security of patients will depend on the design, integrity and quality of electrical installations in the building. Over the last 10 years, the evolution of Internet Of Things (IOT) has rapidly evolved as the new frontier in electrical science. All products like switch gears, transformers, air circuit breakers, etc. can now communicate with each other and with the supervisory team sitting sometimes as far away as the other side of the world through sensors implanted within the electrical equipments. This helps in detecting early signs of wear and tear within the heart of the equipments, thus allowing pre-emptive maintenance action before a breakdown happens. This adds a very high degree of safety for patients by achieving zero breakdown during critical activities like surgical operations and ventilators in the ICU. Welcare Hospital has adopted this technology. Dr. Mody is acknowledged as an expert in understanding the use of modern methodology in engineering infrastructure as applied to healthcare.